What They Do: They give art classes to small to medium sized groups, to learn a bit more about art, and then create something special. How They Do it: The Art Studio will work closely with you to come up with an event that is well suited for your team, and what you are looking to get achieve. They are big on detail. 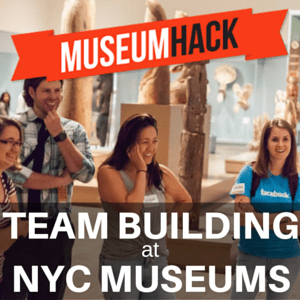 Your team will get to spend some time together, getting creative outside the office. There might also be wine involved. What makes them Special: They have been rated as one the best Art Studios in New York, and they really work to give your team a unique experience. This is probably for the more creative teams, but something everyone could enjoy.